This is a serious, dark post about modern-day criminals. Not for the faint of heart. People have been bringing this subject up with me for years. 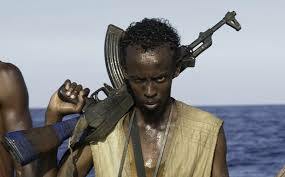 Somali Pirates. They’re the bad guys. 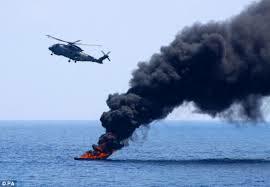 Without provocation, they take their boats out and terrorize helpless merchant shipping. They kidnap Americans, torture them, hold them for ransom. They have nothing in common with the jolly pirates of yore. Like many African stories, this one has its beginning in the 1800’s. Somalia, like many third-world countries, was occupied by European powers seeking to establish empires. By 1949, what we now call Somalia was divided between Italy and Great Britain. Italy built up the infrastructure in their half. Great Britain, not so much. 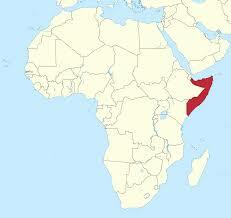 On July 1, 1960, these territories combined into the Somali Republic. Much of it’s interior grazing lands had been lost to France, and the nation was reduced to a narrow strip of land along the Arabian Sea and the Gulf of Aden. In addition, the two halves of the country had different government and legal systems, adopted from their conquerors. Nevertheless, the Somalis established a government which lasted 10 years, until the president was assassinated. The leader of the army took over with no opposition. The new leadership worked to create better infrastructure and improve literacy, with great success. Then, in 1977, the military government disbanded itself in favor of what was essentially a communist administration. In an effort to regain some of its lost territory, Somali began s series of tribal wars. These were going well for the Somalis, until the Soviet Union (who should have sided with the now-communist Somalia) brought in 20,000 Cuban troops and several thousand Soviet “advisors” to beat back the Somalis. 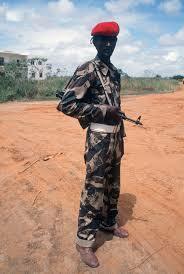 The Somalis mover their allegiance to the USSR’s cold-war enemy, the United States. They also established a military dictatorship, which lasted for roughly ten years. In 1991, civil war broke out. It has been claimed that much of the instability in the region was caused by the American government, then headed by President George H. W. Bush. The US had been successful in manipulating other third-world governments. Somalia’s land contained untapped oil, which the US wanted to hold in reserve. Supposedly, it was believed that by keeping the Somali government in near total chaos, America could, at any time, step in the “rescue” the beleaguered country. During the 1990’s Somalia had no functional government. I remember reading that competing warlords were using black-market Soviet surplus weapons to hold small portions of the country. In the meantime, infrastructure had broken down so badly that the Somalia Boy Scouts were gathering and interring the bodies of the dead. The Boy Scouts were the only “government” left. I wept when I read that. A friend served in the US Marines during this time period. He will not speak about what he saw. 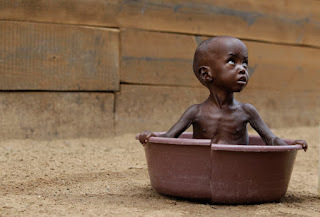 This is the least horrifying photo of a Somali child that I could find. You may think that the situation could get no worse for the Somali people, but you would be wrong. Throughout these chaotic times, the fishermen of the country had fed the people, going out with small boats and bringing home enough to prevent starvation in their villages. But in the absence of an organized military or diplomatic corps, European and Asia industrial fishing fleets stripped the waters of their bounty. And to make matters even worse, these same powers dumped unsheilded nuclear waste into Somali waters. There was no one to stop them. So, the position was this: No food, and no ability to use traditional methods to obtain food. What fish remained showed heavy mutation. Then storms tore open the flimsy barrels containing the radioactive waste, and drove the leaking containers onto the beaches. Somali men women and children began to suffer from radiation sickness. The only resources left were the Soviet assault rifles and the disused fishing boats. A pirate fleet was born. Like the pirates of the 1700’s these people had nothing left to lose. I’ve heard ideas for stopping the Somali pirates. These ideas usually involve the kinds of firepower that only the US can bring to bear, and scenarios that could fuel the next Terminator movie. It's true that some of the pirates are the same criminals who helped bring the country into chaos. But many are simply unemployed fishermen, and some of these people are already dead. They have absorbed deadly doses of radiation. And they are fighting to feed their children. Bombs, napalm and heavy artillery can’t change these people’s determination, any more than the threat of hanging stopped the original pirates. How can we stop the Somalis? Well, for starters, we could do what ended the Golden Age of Piracy: Offer a full pardon. And then we might clean up the radioactive mess, and get the kids something to eat. This would go a long way to bringing peace. 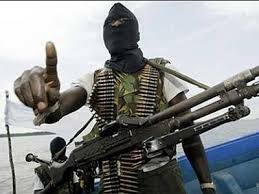 Note: Many of the so-called Somali pirates sail under the flag of the Somali naval militia. It does not surprise me that we had something to do with it. I do not disagree with anything you have written in this article other than it does not go far enough to explain the true picture. To be sure the situation in Somali was not created in a vacuum – arrogance, greed and downright immorality on the part of developed countries has ensured a painful legacy of instability for the people of Somali. But what is really regretful about this whole mess is the fact that the so called rich nations are not willing to fix what they broke. And even if they did, it would only be to promote their own agenda rather than the welfare of those forced to live under the tyranny of war and poverty. Like most stories, the version shown the public is too simplified. You had filled out what has been left out of the narrative. People will have to do what they have to do to survive. It is a cautionary tale of what can happen when things break down, but hopeful that the people endure somehow. these people has hatred towards americans but killing innocent people is not the solution. 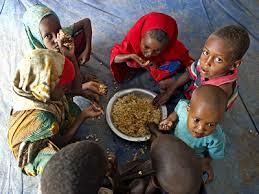 The people of somalia is very poor and we have to work for their betterment.